After teaming up for a pair of EPs in 2013 (Gods in the Spirit) and 2016 (Titans in the Flesh), the emcee/producer duo are returning April 16th with a combination of both. 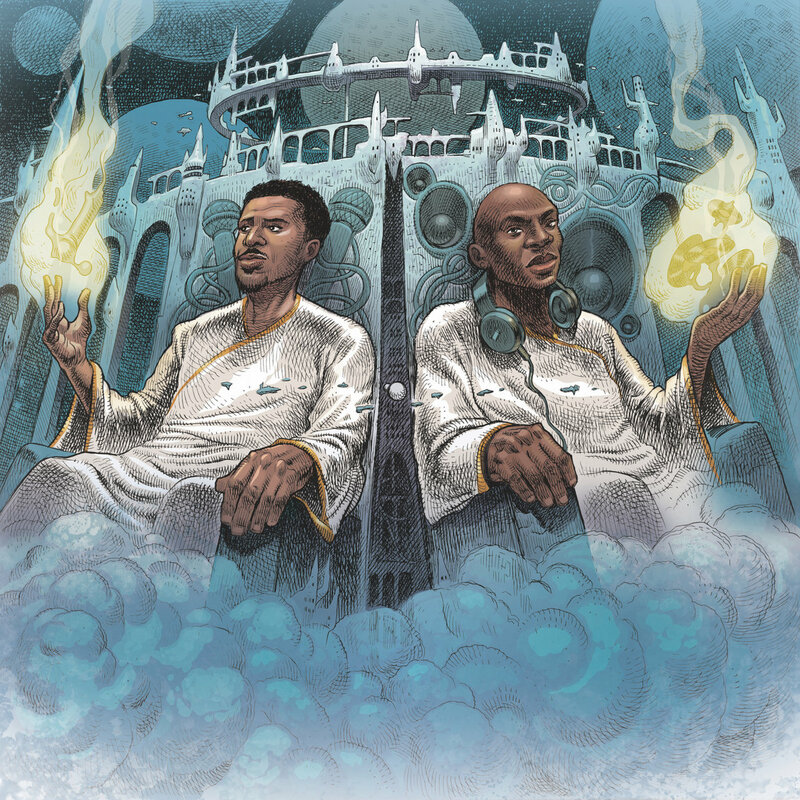 More than a simple re-release, Blu and Nottz have joined forces with Coalmine Records to give Gods in the Spirit, Titans in the Flesh a proper re-mix and remastering. Blu even restructured the tracklist to better suit his narrative. On top of the one-two punch, the duo are also including a bonus track called “Yesterday” which features longtime collaborator Sene and vocalist Elisa Meri. Press play on “Yesterday” below and keep scrolling for the updated tracklist and artwork—by the incomparable Dan Lish.